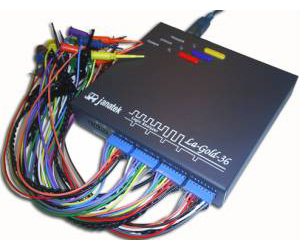 The LA-Gold-36 is a high performance logic analyzer with an integrated pattern generator. It was designed to be of superior technical quality to ensure measurements of excellent signal integrity. With class-leading specifications, it offers a comprehensive digital debugging environment for the electronics professional.